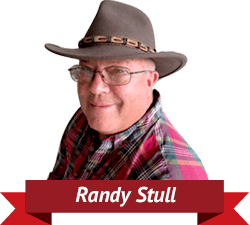 When Randy Stull was injured while feeding his cattle, he decided that he needed a way to stay out of the stampede and enjoy some peaceful easy feedin'. What he came up with is what we've all come to know and love as the "Stull Feeder." We created a dozen different designs and finally settled on the laser-crafted portable livestock feeder products we're proud to offer to our fellow cattlemen. Our Dealers continue to grow throughout the USA and even abroad! Be sure to visit our map which allows you to link to contact information and driving directions for each Dealer. 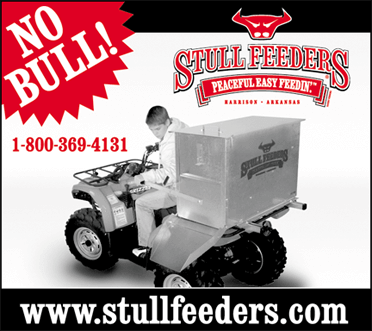 Let our Dealers know you found them on our Stull Feeders' website. We welcome new Dealers and Distributors - if you are interested in joining our growing network, contact us to learn more about how you can begin offering the BEST portable livestock feeder in the world! Our e-commerce offers all customers the opportunity to set up a personal account - sign up today! We look forward to hearing your stories once you begin your "peaceful easy feedin'." "Just one use and you'll understand what we mean when we say 'Peaceful Easy Feedin'."